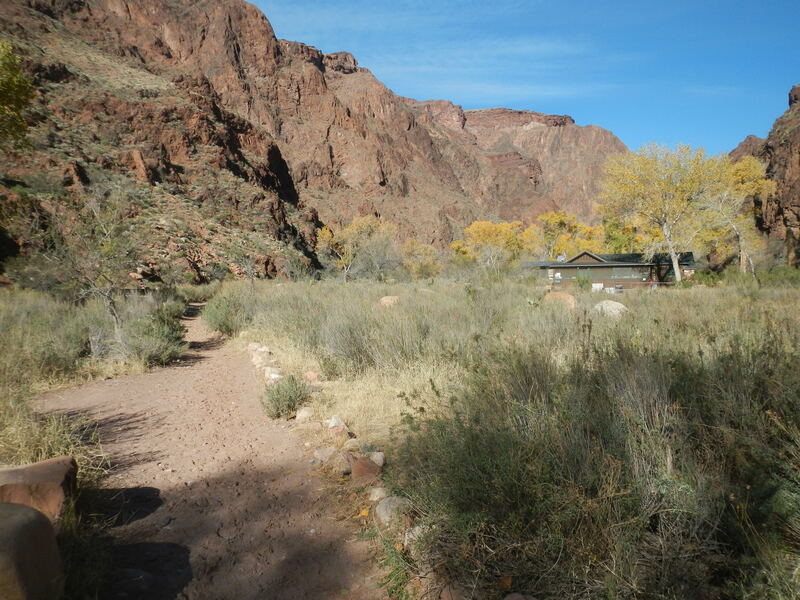 Explore the North Rim of the Grand Canyon on a hike along North Kaibab Trail. The difficulty of this 14 km (8.7 mi) trek depends on how far you want to push yourself. For a shorter version, head in as far as the first attraction, a set of tunnels just 1.7 km (1 mi) from the start. There you can explore, take a break, and return by a mule ride. Farther along, the trail rises steadily higher, rewarding you with views of springs and waterfalls as you climb. Be sure to stay hydrated on this challenging hike; it can be extremely hot. Other hazards such as flash floods and encounters with wildlife are rare, but possible, so be prepared. You can camp along the way (only with a permit) at sites located 6.9 km (4.3 mi) and 13.8 km (8.6 mi) in. 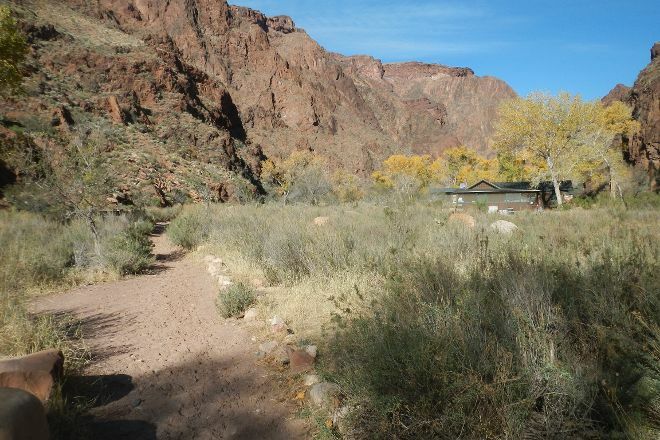 To visit North Kaibab Trail and other attractions in Grand Canyon National Park, use our Grand Canyon National Park holiday planning app .